May 19-21 Mount Vernon Spring Wine Festival and Sunset Tour. ($30 at gate, 6p –9p) Click HERE for details. 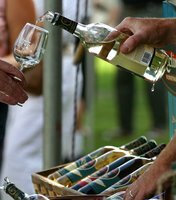 May 20-21 Winds and Wine Festival at Tarara. Celebrated in historic downtown Front Royal, Virginia. ($10 Tasters, $2 General Admission, 10p-6p) Click HERE for details. You may also check HERE for other Virginia wine events near you. Have a wonderful and sunny weekend.